Britain’s 18-35 year-olds go out on average two times a week, expecting to spend £50 a night, but blowing the budget by more than a grand over the course of a year. The nationwide survey also revealed that most feel regret the following day, not just with a hangover, but fear over how much they spent. It’s so bad that almost half of those in relationships regularly lie to their partner over how much they have wasted. One in five has suffered hardship thanks to their lifestyle, and 90 per cent claim to be in debt. 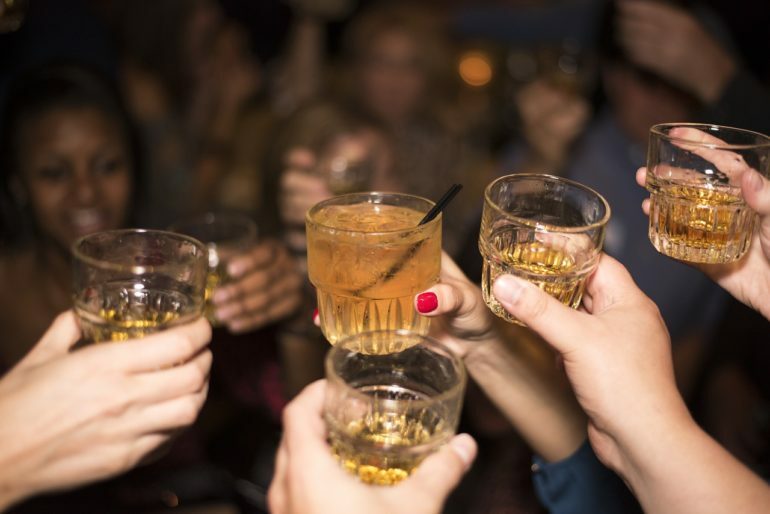 Boozy Brits go over budget for a variety of alcohol-fuelled reasons, with the post-pub takeaway accounting for £340 per year – that’s around 65 kebabs. Whilst taking a cab home is probably advisable after a heavy night, avoiding public transport adds £280 to the bill. Nearly £200 a year is drunkenly withdrawn from the cash point and unaccounted for, although with £145 spent on loans to friends that are promptly written-off, perhaps it isn’t quite the mystery it seems. And £174 is spent on rounds of shots, which is probably the perfect way to forget that hasty withdrawal of funds. Vix Leyton for sellmymobile.com said “It’s not a shock that Brits make some questionable decisions when a drink has been taken, but those impulse rounds of shots and tipsy generosity, coupled with carelessness such as losing handbags and smashing phones can soon add up.